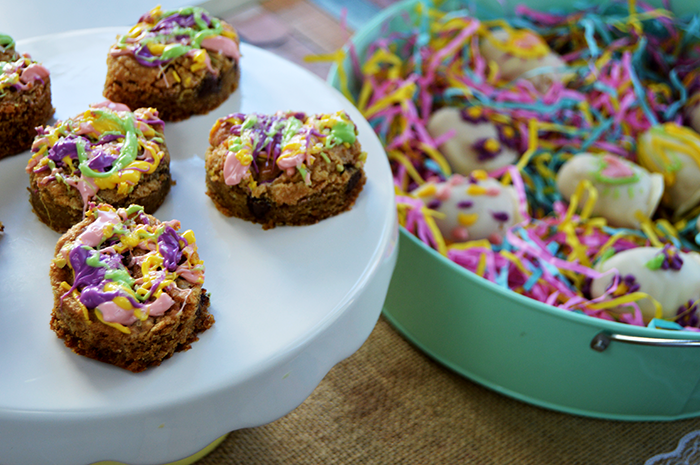 With Easter approaching, I’ve been practicing my Easter desserts and dinners. My boyfriend, Nick, requested that I bring some goodies to him to share with his work buddies, so I got busy baking! Because his request was pretty much last minute (I was making these at 7PM the night prior to visiting him), I knew I had to make something super simple with ingredients I already had on hand. 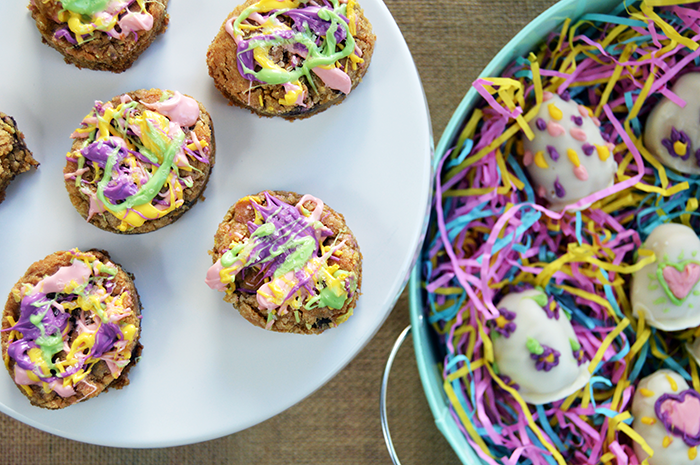 Luckily, I almost always have key cookie baking ingredients lying around, and happened to have various Easer-y colors of candy melts for a colorful drizzle. I’ve never made blondies before - heck, I don’t think i can recall a time where I ate one myself. 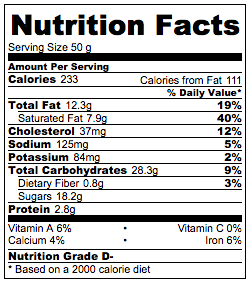 The consistency of a blondie is between that of a traditional brownie and a chocolate chip cookie. They are called blondies because of their color, whereas a normal brownie would be dark in color, blondies have no cocoa powder in them to change their color and instead rely on the combination of brown sugar, chocolate chips, and vanilla for their flavor. 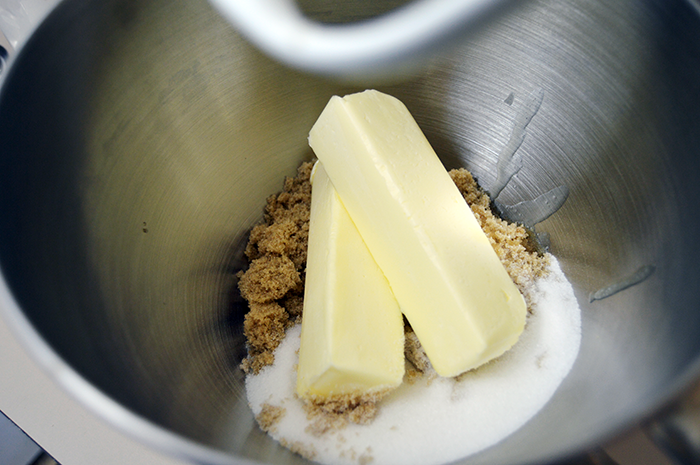 I used a stand mixer to beat together the butter and sugar. It’s much easier to make this recipe if you have an electric mixer because stirring the thick dough can be tiresome after a while. Once the butter and sugars have been creamed together, add the eggs one at a time, followed by the chocolate chips and flour. 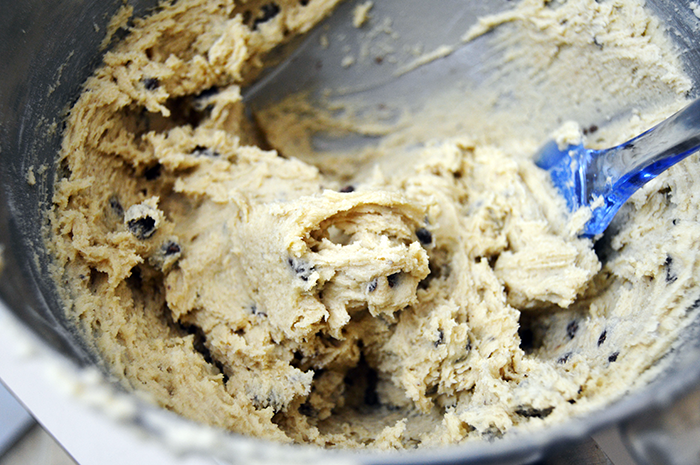 The dough’s consistency is similar to cookie dough, but spreads like brownie batter. You are looking to hit the perfect mix of both - don’t make the dough too runny but also don’t make it too thick to easily spread. 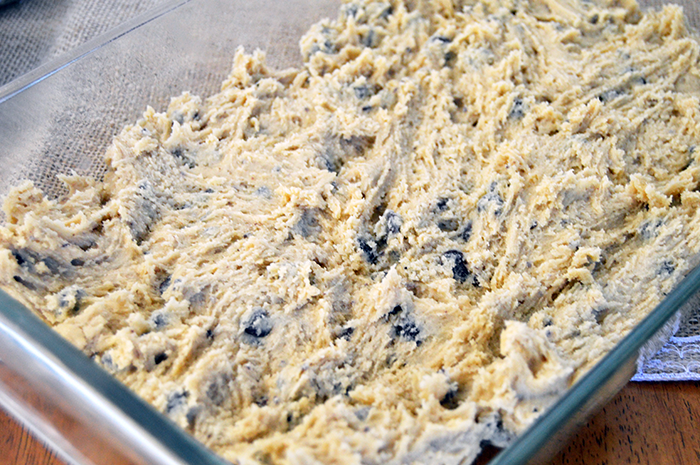 Grease a glass baking dish and spread the dough across the bottom in an even layer. Preheat the oven to 375°F. Grease a 9x13 glass baking dish (if glass is not available, use a standard brownie pan and preheat the oven to 350°F). 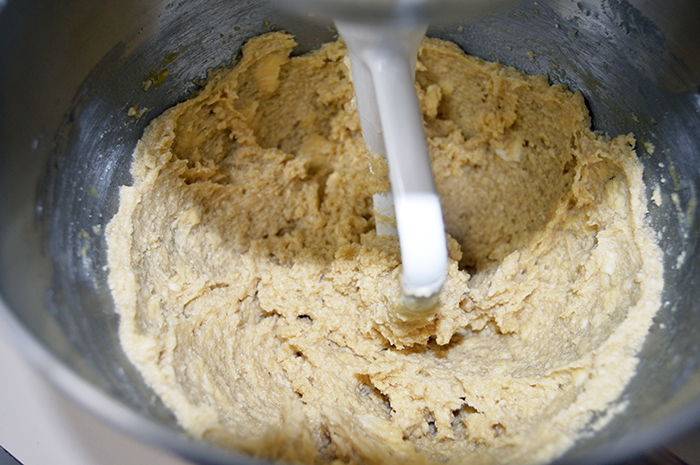 Utilizing a stand mixer, beat together the sugars, butter, and the eggs, one at a time. In a separate bowl, whisk together the flour, salt and baking soda. Slowly add the dry ingredients into the creamed sugar and butter until a sticky dough begins to form. Continue to add the rest of the flour until combined. Spread the dough along the bottom of the glass baking dish so it is about a half inch to one inch in thickness - be sure it is even throughout. 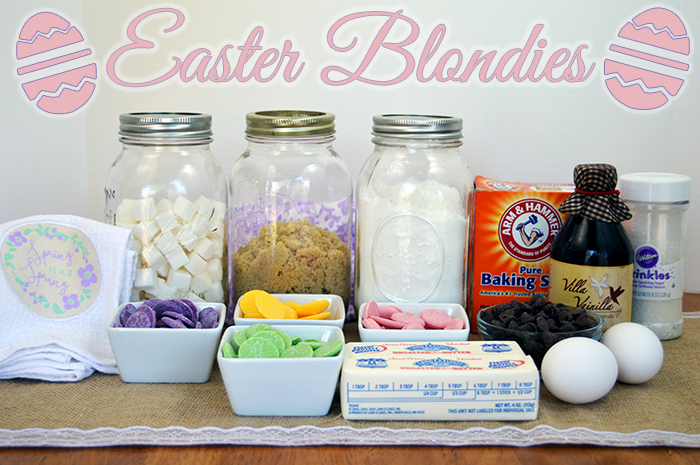 Bake the blondies for 25-30 minutes, until the blondies are golden brown and beginning to crack on the top. Remove from the oven and let cool. 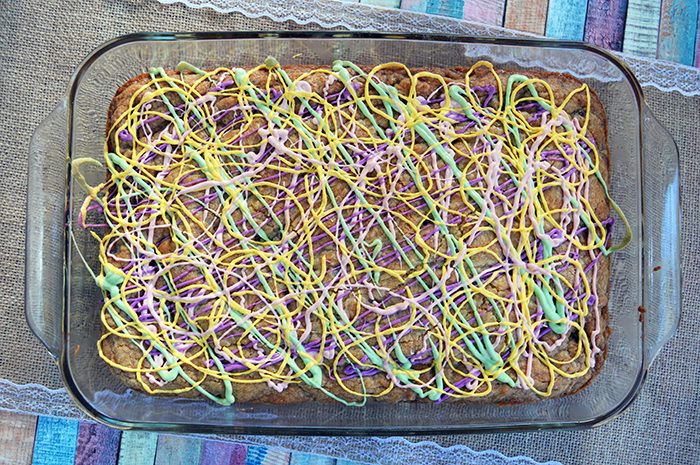 If decorating, drizzle the candy melts across the top of the blondies. If cutting into shapes, wait until the blondies have cooled completely, then remove from sections from the pan. Cut into desired shapes. Serve warm or room temperature. Have a wonderful Easter!